Traditional Chinese Medicine (TCM ≈ Acupuncture) and conventional medicine (via your GP) both have much to offer. Sometimes one can be better than the other and sometimes you need both for the best results. The key is knowing when to use which, safely. My aim, for over 20 years, has been to give clients evidence based TCM treatments so they can get the best of both worlds. I began acupuncture after a 13 year career in the medical industry, believing that people sometimes want more choice than simply conventional drug therapy. My vision is to see acupuncture used in conjunction with conventional medicine (via your GP) to give patients the best possible treatment choices. 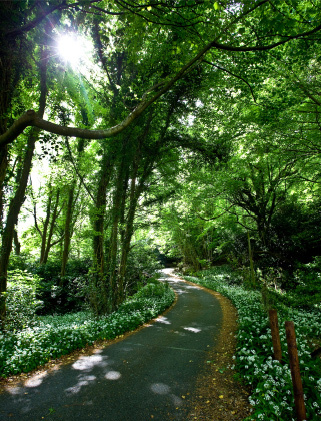 My main clinic is located in Glen of the Downs and is easily accessed from Greystones, Delgany, Bray and south Dublin. I also see patients at the Dargle Clinic Bray. What should I expect from my first consultation? The first consultation will take about an hour. Follow up visits may be slightly shorter. A detailed case history (including your medical case history & GP contact details) will be taken, and I may ask you questions that appear irrelevant to your condition such as social habits, family history, diet, your emotional status, etc. 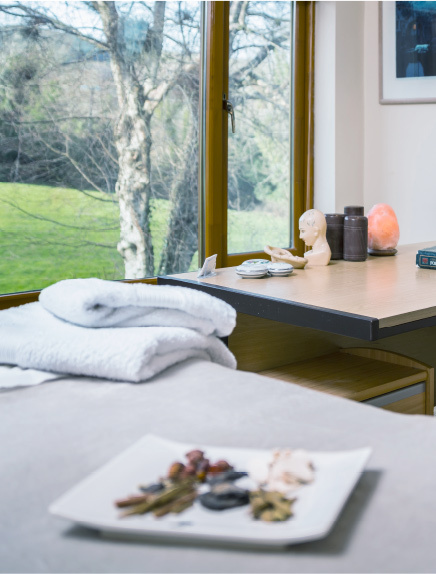 Health is not purely a physical issue, and professional acupuncurists aim to gain a broad understanding of our clients’ state of well-being. You may be a little nervous about your first visit, so I will try to put you at your ease as best as I can. Usually, I will do a short treatment on your first visit. What will the acupuncturist actually do? Having taken the detailed case history mentioned above, I may take your blood pressure, look at your tongue and spend time taking your pulses. Having arrived at a diagnosis and treatment protocol, I will then outline this to you. If there is anything you do not understand please feel free to ask questions. Our relationship is a partnership, and I welcome dialogue. I will clearly explain where needles are to be inserted and for how long. I may also use moxibustion and cupping techniques, and I will explain these to you fully, as well. I often offer dietary advice. If your condition is of a musculoskeletal nature (e.g. back pain, muscle strain, tendonitis etc. ), I may use a small battery-powered TENS machine attached to the needles. If you are in any doubt at any time as to what is going on, please just ask, and I’ll be happy to explain. I promise: there is a very good reason why needles are being inserted into your feet when your problem is a headache! Most people’s experience of needles is that of those used to give injections, take blood etc. Acupuncture needles differ from these hypodermic syringes in that they are much finer and solid rather than hollow. Acupuncture needles are designed to part the skin without cutting the tissues. The sterile stainless steel needles are commonly used with a diameter of between 0.25mm to 0.45mm – about the thickness of a human hair. You may experience a slight prick as the needle penetrates the skin, but this is a momentary experience. Most people would describe the feeling as painless, or no more painful than plucking out a hair. What happens after the needle is inserted is of much more importance, and I will ask you to provide feedback on what you are feeling Remember, this is a partnership.. Most people feel a dull ache, tingling or feeling of heaviness or numbness around the area where the needle is, occasionally a mild electrical pulsation radiating away from the site of the needle is felt. Reactions such as these are of vital clinical importance to the acupuncturist and signify that the Qi has been accessed, i.e. De Chi (pronounced De Chee). The needles are then left in place from 15 to 30 minutes and may be occasionally manipulated by the Practitioner. During this time you should feel quite comfortable. Many people find it very relaxing, and some even drift into sleep. Removal of the needles causes no discomfort , although minor bleeding may sometimes occur which can be stemmed with a cotton swab. I may also insert needles into the surface of your ear (‘auricular acupuncture’) depending on your condition. Some facial acupoints may bruise slightly ,so if a minor facial bruise bothers you, let me know. I can usually choose another acupoint elsewhere on your body. It is vital that you tell your practitioner if you suffer from any diseases transmissible by blood (e.g. HIV, AIDS, hepatitis etc.) or if you are on any blood thinning medication,. These facts should come out during our Case History discussion, but you must disclose them. It is also vital to let me know if you are (or even suspect that you might be) pregnant, as some acupoints are not used during pregnancy, and neither you nor your practitioner will want to take any unnecessary risks with your pregnancy. Each acupuncture session costs €60. I leave an hour for each person and therefore would very much appreciate as much notice as possible if you need to cancel or rearrange. Yes. Acupuncture is a safe form of treatment when performed by a well trained, conscientious practitioner who has a good knowledge of human anatomy and who uses single-use sterile disposable needles. As a member of the TCMCI I am bound by a strict Code of Clinical Practice – which includes the use of sterile single-use disposable needles. Where does my GP fit into all this? I recommend that you keep in regular contact with your GP. Acupuncture treatment is best viewed as a part of your healthcare régime and does not replace the need for regular check-ups and treatments where necessary.